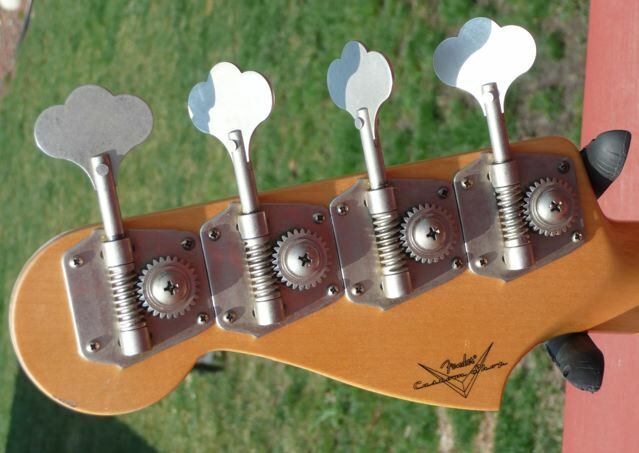 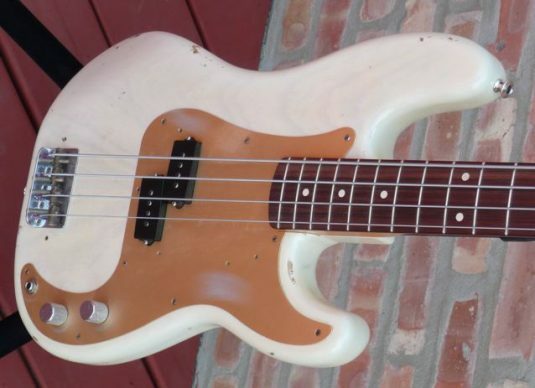 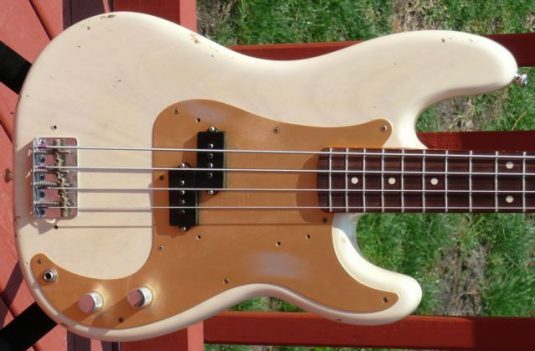 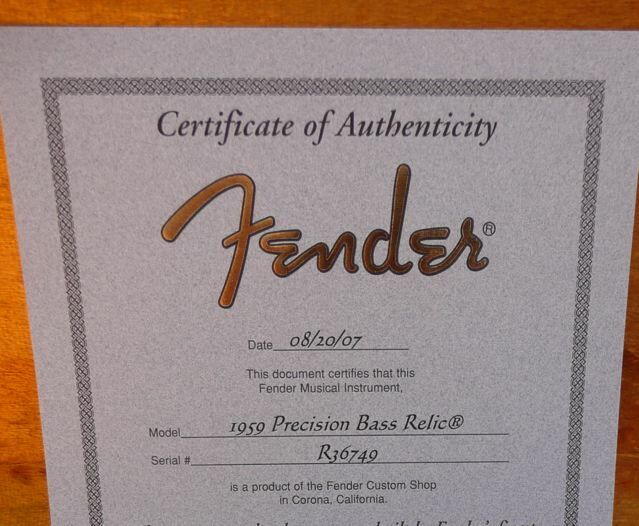 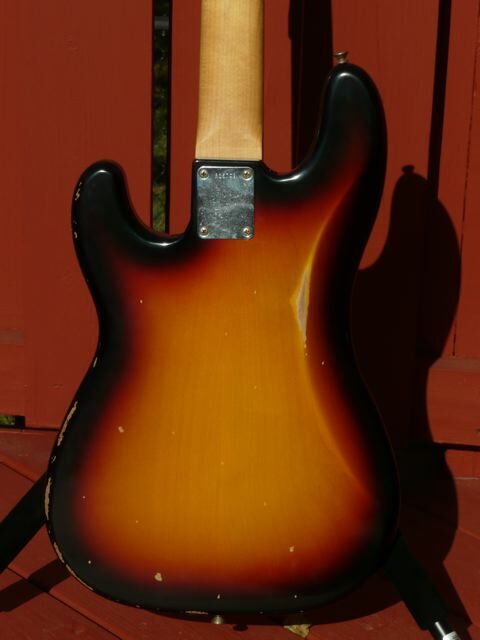 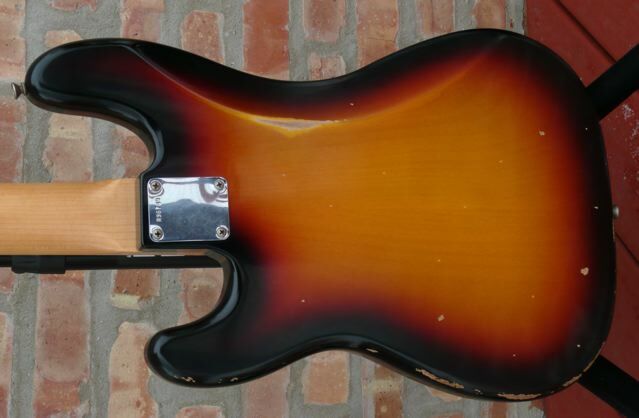 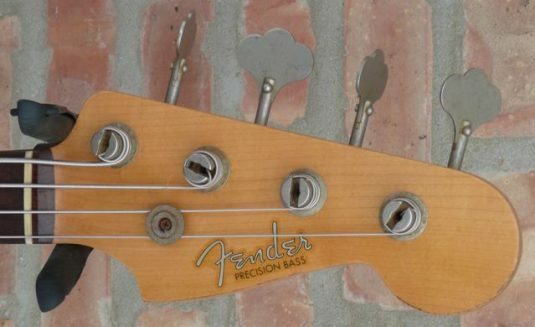 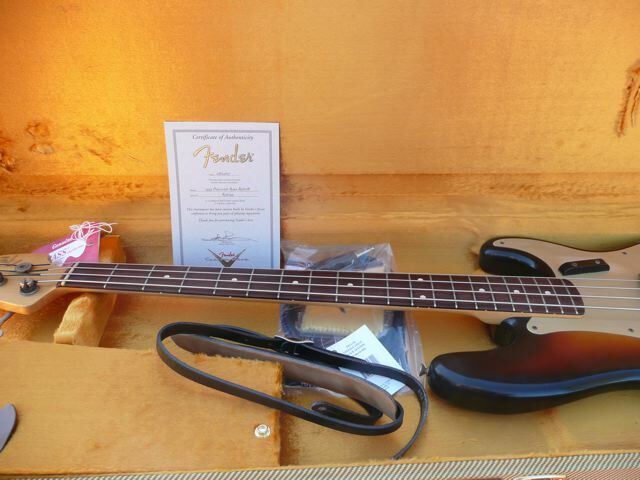 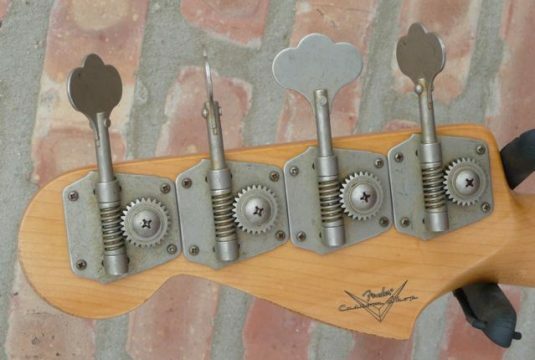 Here we have a genuine imitation 1959 Fender Precision Bass that was actually made in 2007. I have the C.O.A. 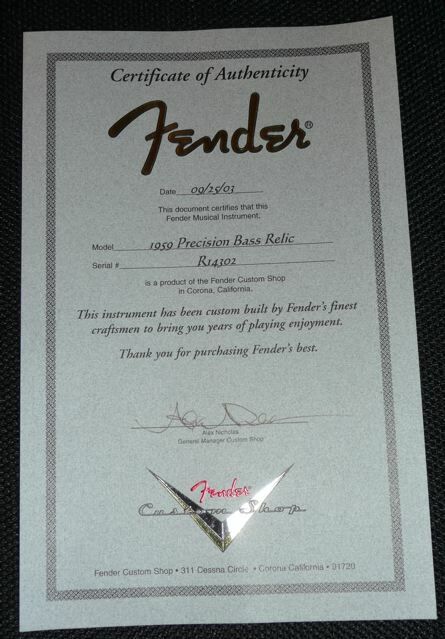 to prove it. 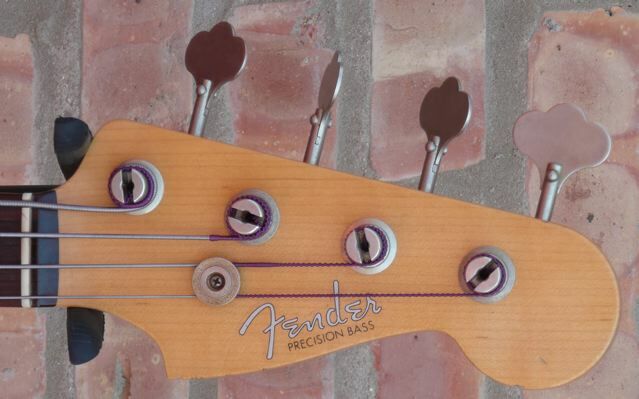 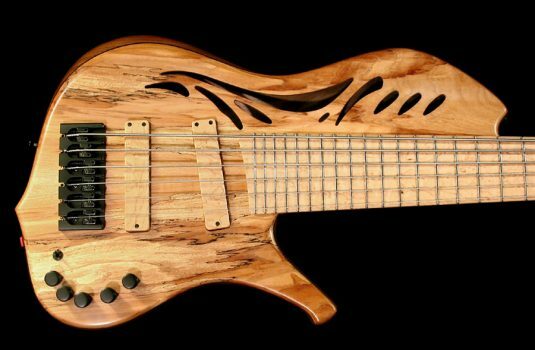 Really, a wonderful playing bass with tones that remind me of many a popular tune from way back. 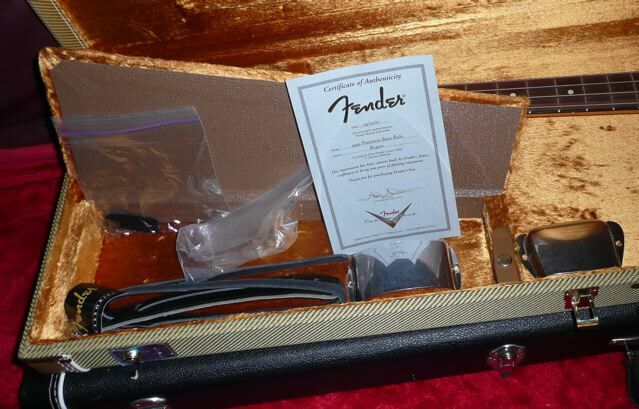 This Custom Shop piece is complete with the the case candy and OHSC. 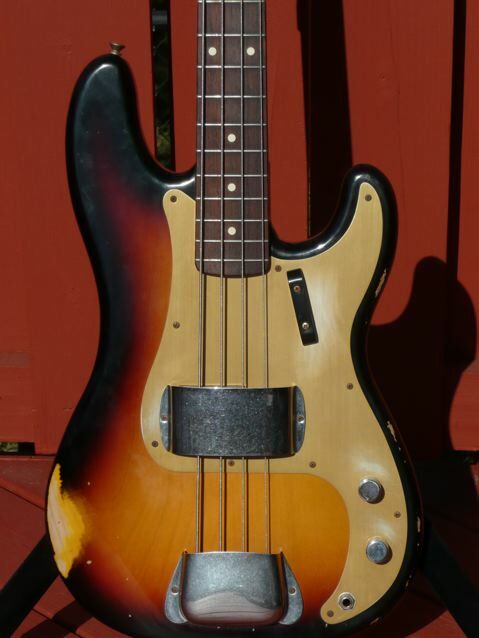 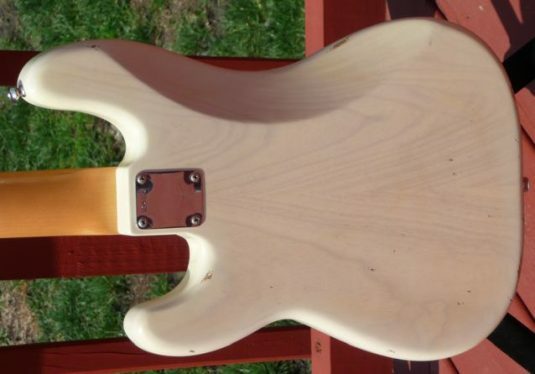 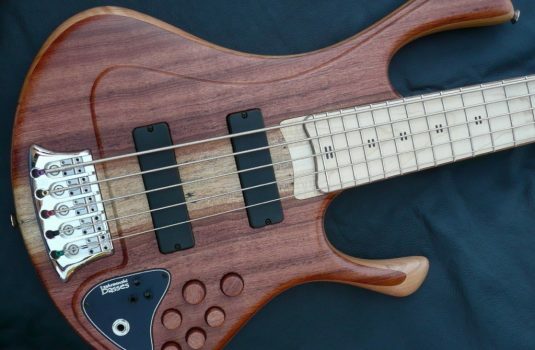 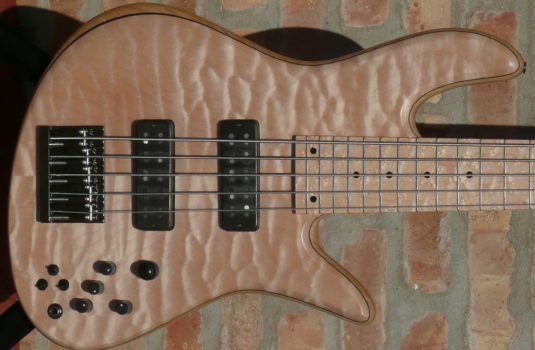 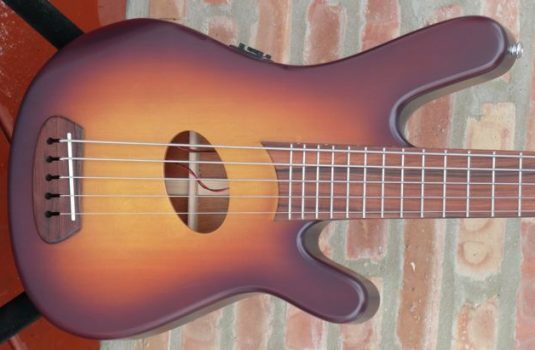 Why buy a Relic new when you can save a bundle and still have a beat up looking bass?